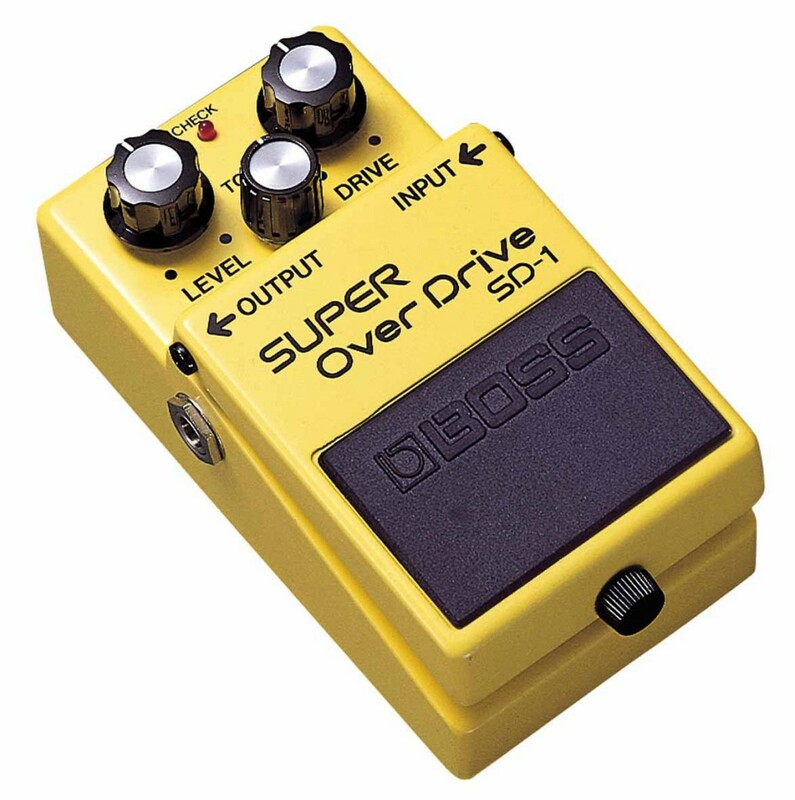 I bought the BOSS SD-1 as an alternative overdrive pedal to the Tubescreamer type. The SD-1 uses asymmetric clipping (as opposed to the symmetrical clipping on a Tubescreamer-type overdrive) and I was looking for a different flavour of drive. 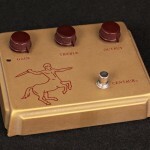 Plus, it’s an iconic pedal and it’s a Taiwanese-vintage from 1990. It’s beat to hell but it only adds to the character and it sounds sweet, growls and goes really well with a Vox. Volume, Gain, tone control. Boss switch, 9v battery. Usual Boss stuff. Plug in, turn on and rock out. Pretty straightforward finding sweet spots that don’t sound fizzy, and pretty useful in higher gain settings to generate harmonic feedback. Great – this is what Boss do so well. An underrated, solid pedal that goes really well with an amp. This isn’t another overpriced, boutique Tubescreamer that is always going to sound great through a top quality amp; the SD-1 is the kind of base tone for rhythm work that sits so well in the mix with a band. It’s decades old, not a problem with it. 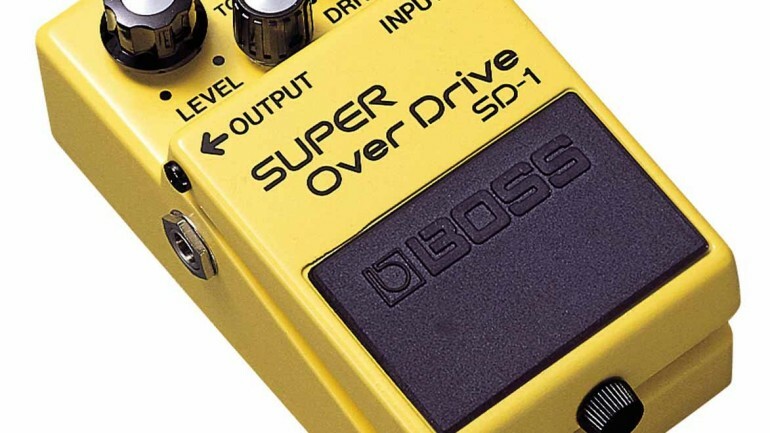 Great, no-nonsense pedal that has a few extra uses – and remains an absolute classic. Good pedal, but very noisy pedal, probably poorly grounded or something (or poorly components). Utter nonsense. 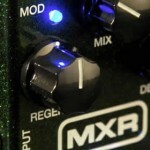 The SD-1 is a fairly faithful Tubescreamer clone. The symmetrical vs asymmetrical clipping makes but a tiny difference to the sound of this pedal. Don’t get me wrong, it sounds good (and it’s not noisy or badly grounded – you must be using a cheap power supply) but it sounds very similar to a TS. Classic pedal with classic overdive!